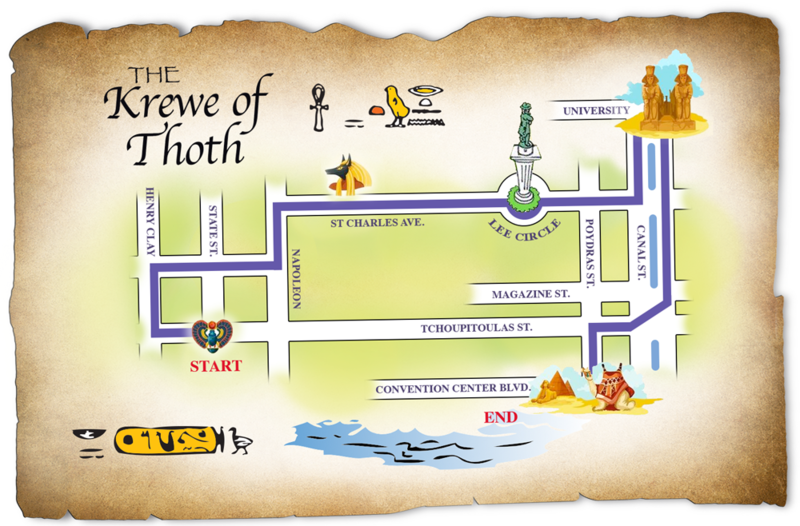 Thoth parades on the Sunday prior to Fat Tuesday each year through Uptown New Orleans with the most unique route in Mardi Gras. 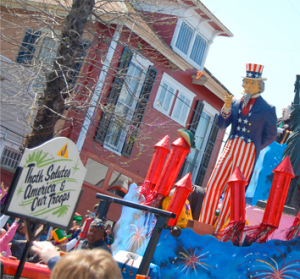 Still holding to our roots we continue to parade on a route designed to pass some of the same institutions that we were organized to pass back in ’47. 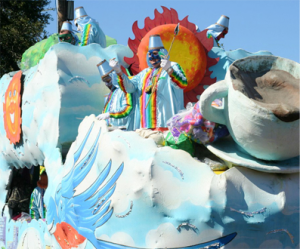 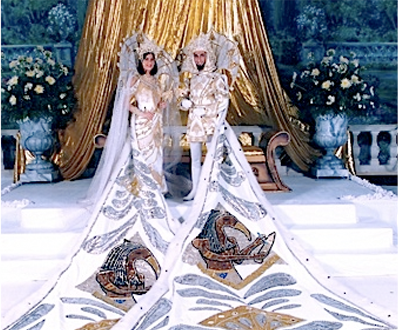 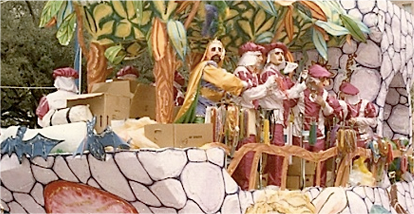 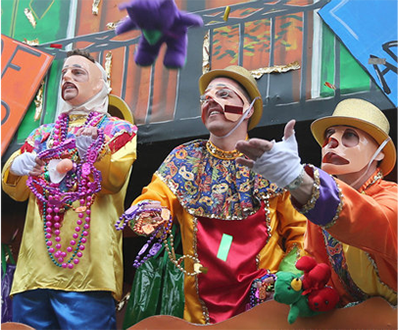 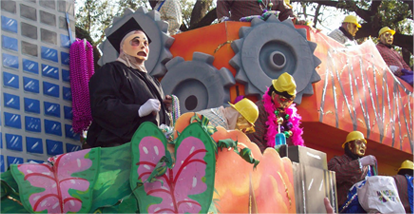 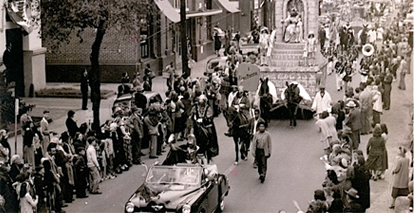 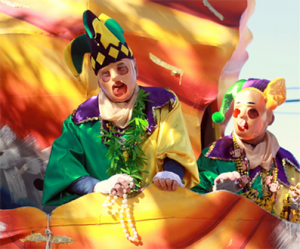 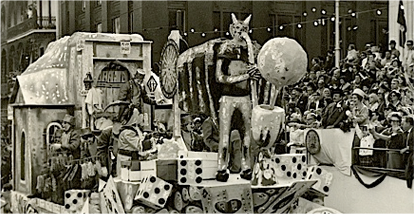 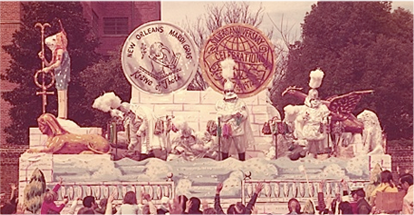 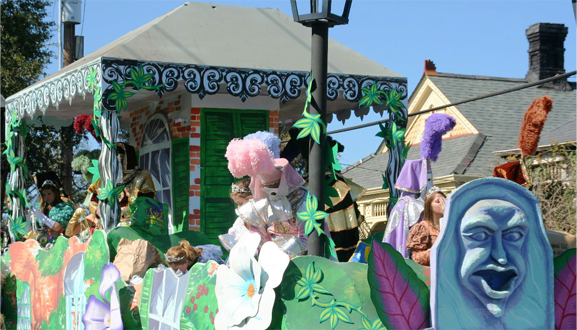 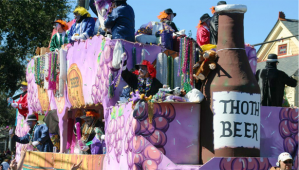 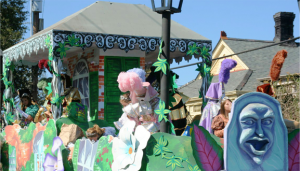 The first Thoth parade has little resemblance to the Thoth parade of today. 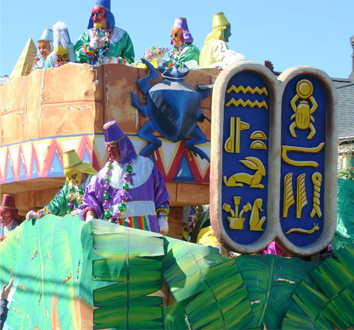 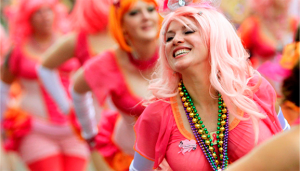 We now parade with over 1,600 riders and 50 floats and have become one of the highlights of the Carnival scene. 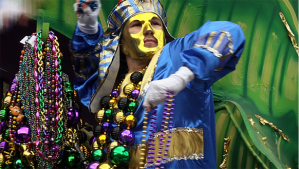 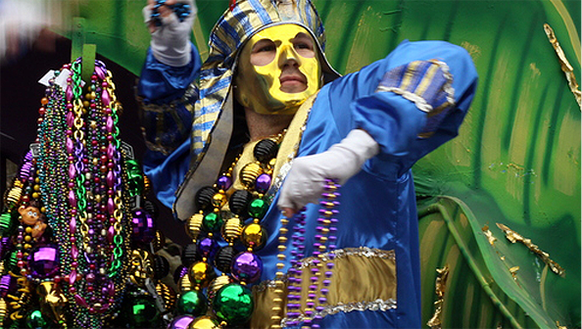 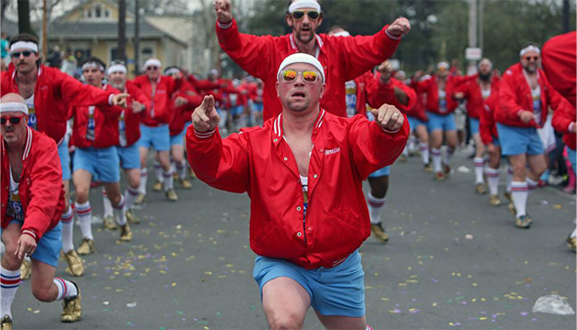 The men of Thoth annually shower the viewers of our street procession with literally tons of beads and trinkets.